The company that runs Boston’s Faneuil Hall Marketplace and Union Station in Washington, D.C., will soon be rolling into South Station. Ashkenazy Acquisition, a New York developer of retail properties, has agreed to buy a 98-year lease for the transit station’s concourse and upstairs office space for nearly $125 million, according to people with knowledge of the matter. The deal, which is set to be completed later this summer, is separate from a plan by another developer to build an office and condominium tower over South Station’s tracks. Ashkenazy wouldn’t discuss the purchaseor its plans for one of the city’s main transportation centers. But real estate experts say the busy train station’s shops and restaurants are in need of an upgrade, and that the new owner is well positioned to do that. Boston’s train stations are fast becoming hubs for development. Real estate giant Boston Properties is building a large complex at North Station that will include retail, offices, and housing, and the company has another major project planned for atop Back Bay Station. South Station sees about 75,000 daily passengers from the MBTA’s Red, Silver, and commuter rails, as well as travelers who use Amtrak trains and the adjacent bus terminal. While the station hasn’t had an overhaul in years, current owner Equity Office has upgraded restaurants and retail spaces, including the addition of CVS drugstore. Equity also filled nearly all of the 120,000 square feet of office space on the station’s upper floors. The company put its lease on the property up for sale in April, expecting to fetch about $100 million. It received strong interest from a wide variety of buyers, people familiar with the matter said. The agreement will need approval from the Massachusetts Department of Transportation, which owns the station. Ashkenazy owns several high-profile buildings in Manhattan, as well as busy urban marketplaces in Miami, Baltimore, and San Antonio. Since 2007, it has operated Washington’s Union Station — one of the nation’s busiest train stations — which doubles as a large shopping center. It has brought in national retailers, restored the station’s historic main hall, and is planning a boutique hotel. The company has had a presence in Boston since 2011, when it took over Faneuil Hall Marketplace. Plans for major renovations there stalled amid opposition from longtime merchants. But Ashkenazy has brought in new local management and has begun pushing ahead with more modest tweaks designed, in part, to attract more local shoppers to the tourist destination. 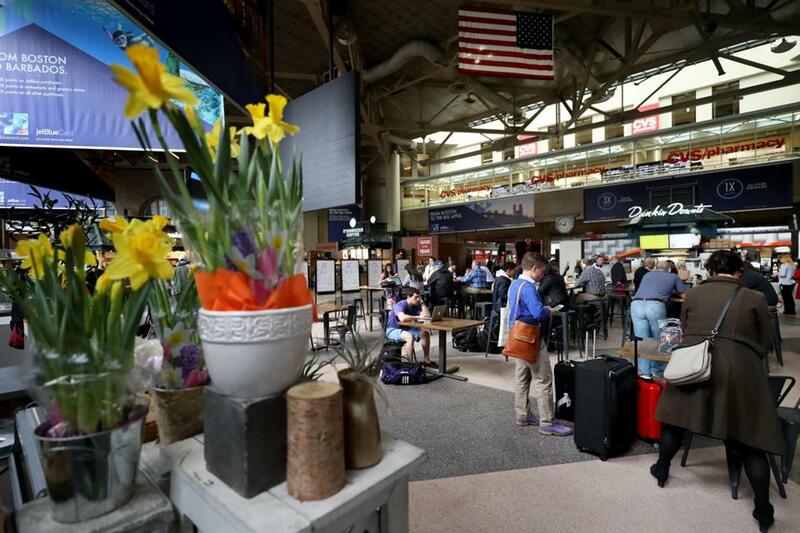 While sources said Ashkenazy is just beginning to figure out what it might do at South Station, people who have spoken with company officials say they hope to bring in more retail and restaurants designed to serve nearby residents and office workers, not just people getting on or off trains and buses. 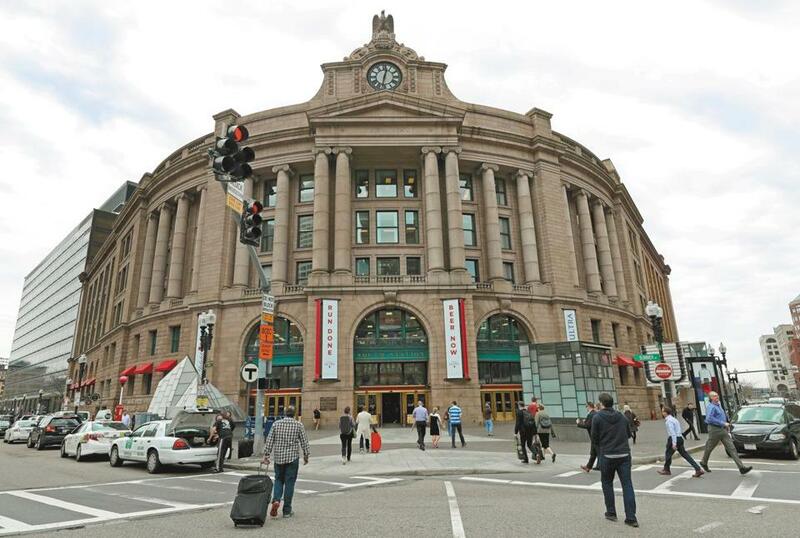 Beyond the Ashkenazy deal, an even bigger transformation could be ahead for South Station. Houston-based developer Hines wants to build a 51-story office and condominium tower over the train tracks. The 677-foot skyscraper, which would rise above the train shed behind the historic station with an entrance along Atlantic Avenue, would be the biggest new office building in downtown Boston in decades. The complicated project has been in the works for more than a decade, but in the last year Hines has refined it, brought in new investors, and pushed the plans through the city permitting process. Now it’s negotiating details with MassDOT. Recently, the state extended Hines’s development rights through the end of this year, a company spokeswoman said. Meanwhile, state transportation officials are planning a rail expansion that would add seven more tracks, enabling more trains to stop, and commuters to pass through South Station. All of it, Begelfer of NAIOP said, will make South Station an even busier place. If Ashkenazy is smart, he said, it will take advantage of the heightened level of activity.